Ever since its early embrace of hip-hop culture, Tommy has always managed to be ahead of the curve. 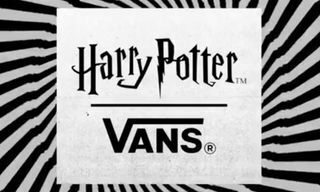 Thanks to its trademark bold designs, use of color, and branding or simply through its active embrace of the cultural scenes that have adopted the label since the 1990s, the brand has been an active part of the zeitgeist — both before the turn of the Millennium and now. 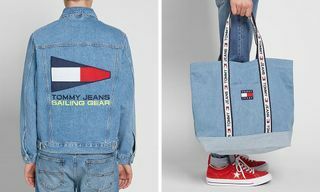 Tommy Jeans is the latest example of Hilfiger’s unparalleled ability to sustain appeal among discerning fashionistas for over 30 years. 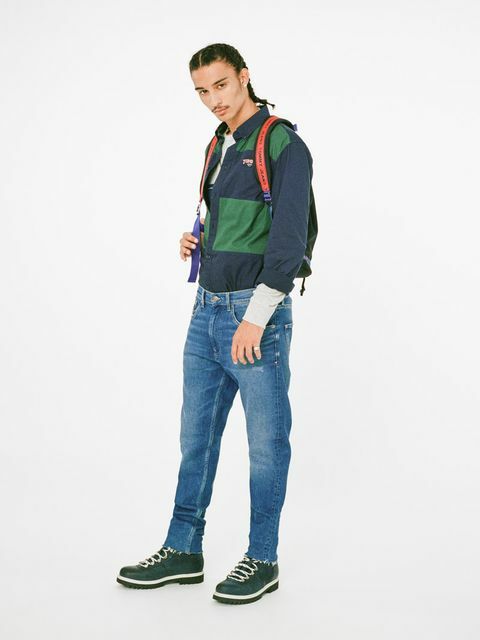 With a nod to the past but with two feet planted squarely in the now, Tommy Jeans as a label manages to offer a diverse range of street style-ready apparel and accessories that are bold enough to make a statement but which can still slot into your usual rotation and can be styled the way you want. At the new label’s core is a distinctive lineup of contemporary denim cuts that are rooted in heritage, but which are decidedly new and of the now. Together, these styles offer an array of outfit options for every look. The TJ 1990 women’s jeans are a classic denim style reinvented, while the men’s TJ 1988 features a tapered leg, making it the ideal fit to show off fresh kicks. Other cuts, such as the TJ 1951, offer a slightly baggier fit for the type of streetwear get-ups you see on skate vids from the ’90s. 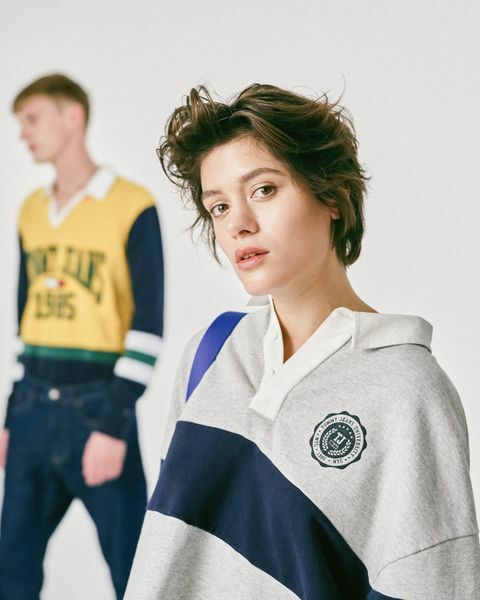 Collegiate-inspired logos and vintage prints are a subtle reminder of the era-defining aesthetics Hilfiger has manifested over the years. 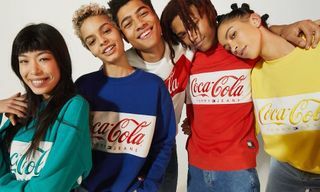 But what truly stands out are the bold new looks that make Tommy Jeans the rebellious option for today’s unfiltered generation. 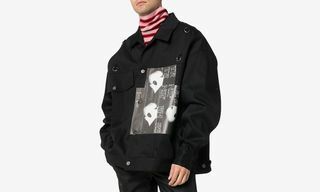 Classic pieces like rugby shirts, puffer jackets, and tees become modern style statements thanks to oversized fits and unique silhouettes that make for rotation-worthy staples. 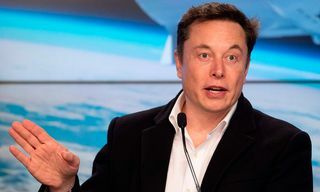 Not to mention the playful color palette that features something for every wardrobe with striking shades of yellow and red as well as preppy green and navy tones. 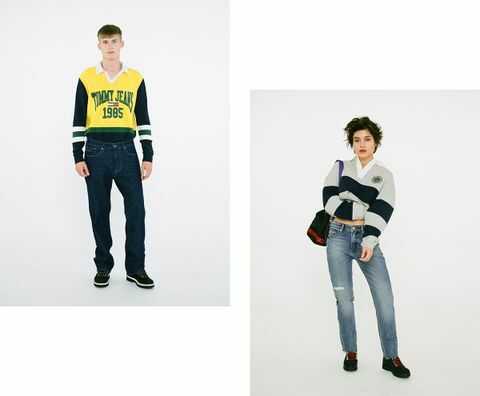 Tommy Hilfiger has always had an authentic connection to the world of music, during the ‘90s it had the likes of Sean Combes and Coolio walk its runway shows and in 1997 the late American R&B musician Aaliyah became a spokesperson for the brand. 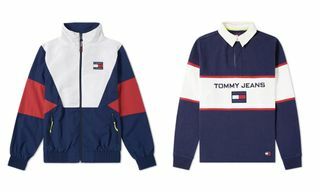 From Gwen Stefani and Snoop Dogg to Michael Jackson, the biggest names in music were obsessed with everything Tommy and at a time when the fashion industry considered itself too high-brow to associate with hip-hop, Hilfiger shrewdly embraced the culture. 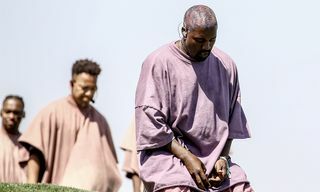 Not much has changed in that regard, Hilfiger’s hip-hop affinity is as strong as ever and the brand continues to support emerging artists taking their own creative path. 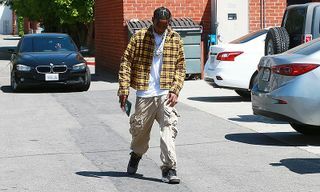 With the drop of its latest collection, it collaborated with the likes of British singer-songwriter Mabel Mcvey and rapper Aaron Unknown while Sean Combes passed the torch to his son Christian Combs, or @KingCombs as he’s widely known on Instagram. 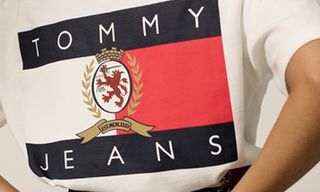 The collection inevitably pays homage to rebellious designs and ambassadors from times past but, nonetheless, Tommy Jeans is undeniably modern. 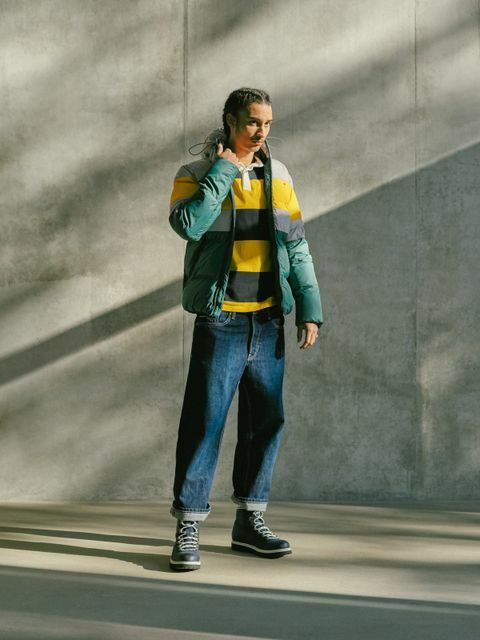 As people today search for ever-more ways to express themselves through the clothes they wear, Tommy Jeans stands for a type of collective individualism that stands out while, at the same time, showing you’re aware of the looks and brands that are foundational to the ‘fits reemerging on our Instagram feeds now. You can shop the lookbook, styled and photographed by Highsnobiety, across the page or check out the entire collection via the link below. 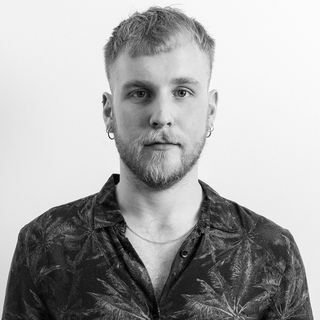 Watch our short video above for an alternative look at the range and for all the latest from Tommy Jeans hit that follow button over on Instagram.